Welcome to Cerro Azul, Panama’s affordable, undiscovered mountain paradise. Los Altos de Cerro Azul is located just 35 minutes from Panama’s Tocumen International Airport. On a clear day in Altos de Cerro Azul you have a perfect view of both the Atlantic and Pacific Oceans. The project is built at 2500 to 3000 feet above sea level with temperatures that range between 70 and 80 degrees – at night it gets very cool and you will need a blanket to keep yourself warm. Altos de Cerro Azul has 24 hour security, a country club with a pool, tennis courts and birds and wildlife unique to Panama as well as a series of trails that will take you through one of the oldest cloud forests in the Western Hemisphere. In the cloud forest you will see palm trees that can be seen in only two other countries in the world, Ivory Coast and Haiti. No one knows how the palms were able to spread from the African Coast to the Caribbean and then to the bottom of Central America. This is an enigma that is currently being studied by the Smithsonian Institute in Panama. The palms often look like something out of the pre-historic era, sometimes shrouded in fog. The flora and fauna are also unique. The variety of wildlife is truly amazing. You may see foxes, white-faced capuchin, ant-eater, sloth, squirrels, coatimundi, agouti, peccary and white-tailed deer, howler monkey, red spider monkey, jaguar, olingo, two-toed sloth, ocelot, jagarundi, harpy eagle and guan. In addition to the stunning natural beauty of Altos de Cerro Azul, you have access to high-speed satellite internet, Direct TV and modern electricity and telephone services. 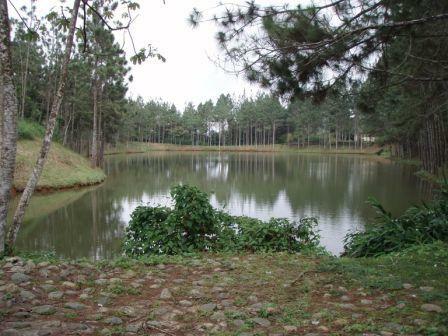 The University of Panama has recently ranked Cerro Azul as having the best drinking water in Panama. Between the airport and Altos de Cerro Azul, there is a modern shopping center with everything from fast food shops, to supermarkets, to video stores and building supply outlets. Medical care is a short 20-minute ride from Cerro Azul. Paitilla Hospital, which is now working in alliance with John Hopkins Medical School, is only 40 minutes away. The road to Cerro Azul is paved so the trip up into the mountains from the airport is smooth and fast. In short, this is the perfect place to buy if you are looking for a quiet hideaway in Latin America that has all the modern services you would expect to find in Canada without the high prices. You will drive by a small lake known as Goofy Lake that was built by Swiss engineer. On the way to Cerro Azul there is also a railroad car that was brought up into the hills of Cerro Azul as a weekend house. You will like the way the houses are laid out on the mountainous terrain. The houses sit on top of the mountains rather than down in the valleys. 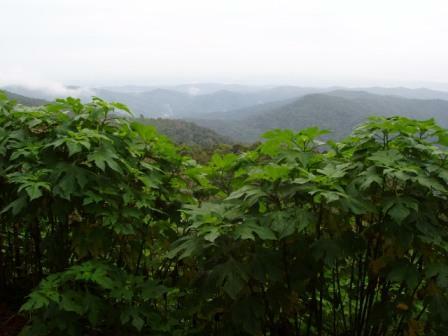 The advantage of this is that many houses have great views of Chagres National Park, which borders the Project, Lake Alajuela and the Panama Canal and Panama City. Behind Altos de Cerro Azul and in the opposite direction of the Canal, houses look out over the Darien Jungle. Another positive aspect was the fact that the Melo Group has been reforesting the areas between homes so that there is a great privacy and nice green spaces between houses. Most of the reforestation so far has been done in Caribbean Pine and Cedro Espino. 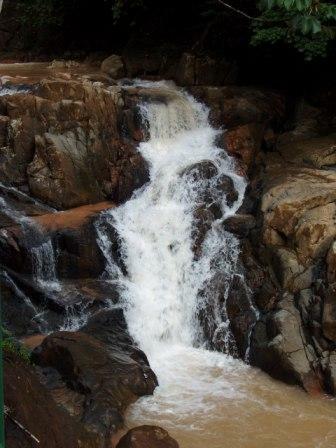 There are also a number of small streams that run through the project and on one of the streams there is a beautiful waterfall which has trails and picnic areas nearby. The atmosphere in Altos de Cerro Azul is calm and the weather is temperate and the people are relaxed and private. 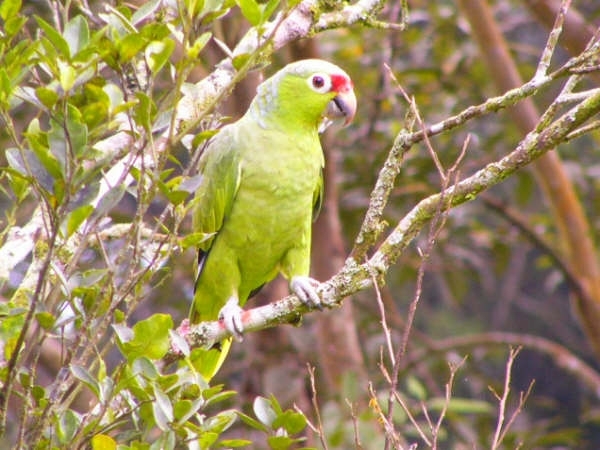 Panama has over 900 different species of birds and Cerro Azul and nearby Cerro Jefe are some of the best places in the world to watch birds. Near Altos de Cerro Azul you will find hiking trails that lead back into the Darien Jungle. If you like the idea of four wheeling then there are number of dirt roads that take you back into the Darien jungle and Chagres National Park as well as some dirt roads you can catch after the town of Chepo that will take you to the San Blas Islands. The road leading to the San Blas can only be taken during the dry season – December to April - but the ride is great as you go through virgin forest and end up in perfect blue tropical water and palm trees. 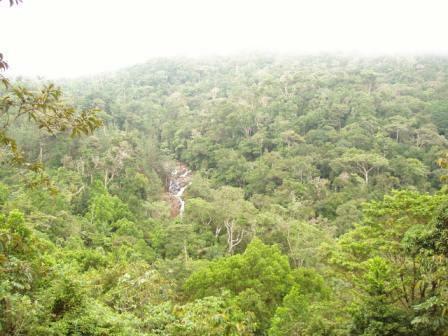 Many families enjoy hiking through the forest to the lookout point that is located in the center of the project. The lookout gives one a clear view on a sunny day of the Atlantic and Pacific Oceans as well as the Panama Canal and the Darien Jungle. The first houses that were built in the project were A-frames that look just like the homes you might see on the side of the mountains in Switzerland. The mountain setting made A-Frame houses the perfect choice. The Cerro Azul Country Club has a large pool, two tennis courts, basketball courts, a roller-skating “pista” and a restaurant. Also, near the club are number of small rivers that are great for swimming and sunbathing.